Venn Diagram misses the point of venn diagrams in a wonderfully nonsensical way. I like the (mis)use of a mathematical structure and the pointlessness of the result. 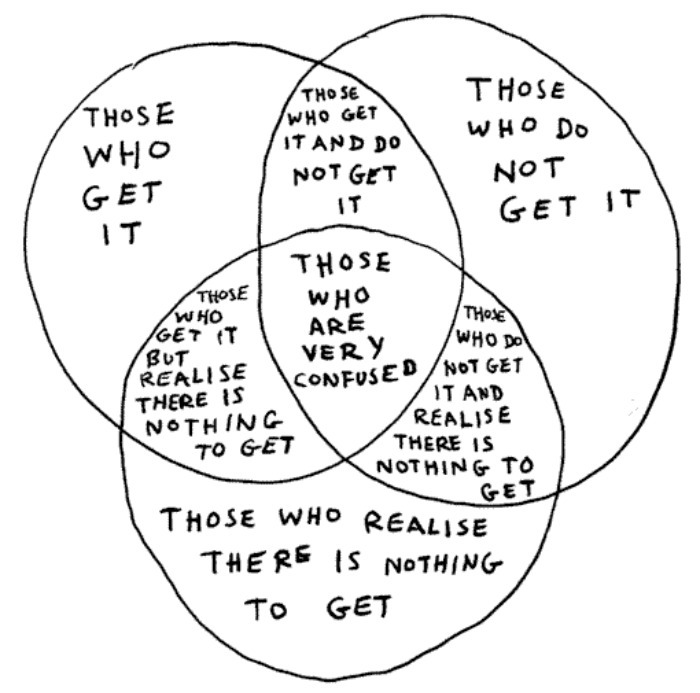 As ever with Shrigley’s drawings, the joke is close to the surface; this is work that it’s easy to enjoy. But there’s something charming about the simplicity and you don’t have to look at very much of Shrigley’s work to be intrigued by his way of talking about the world. 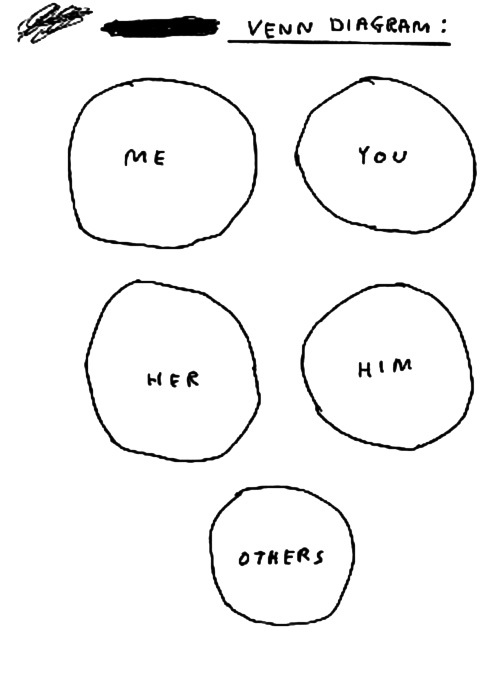 This entry was posted in Drawing and tagged art, David Shrigley, drawing, Those who get it, Venn Diagram by Ann Jones. Bookmark the permalink. I’ve come across that before; it’s great! Thanks. Shrigley’s books are worth seeking out. They’re very funny, completely random and very dark in places.